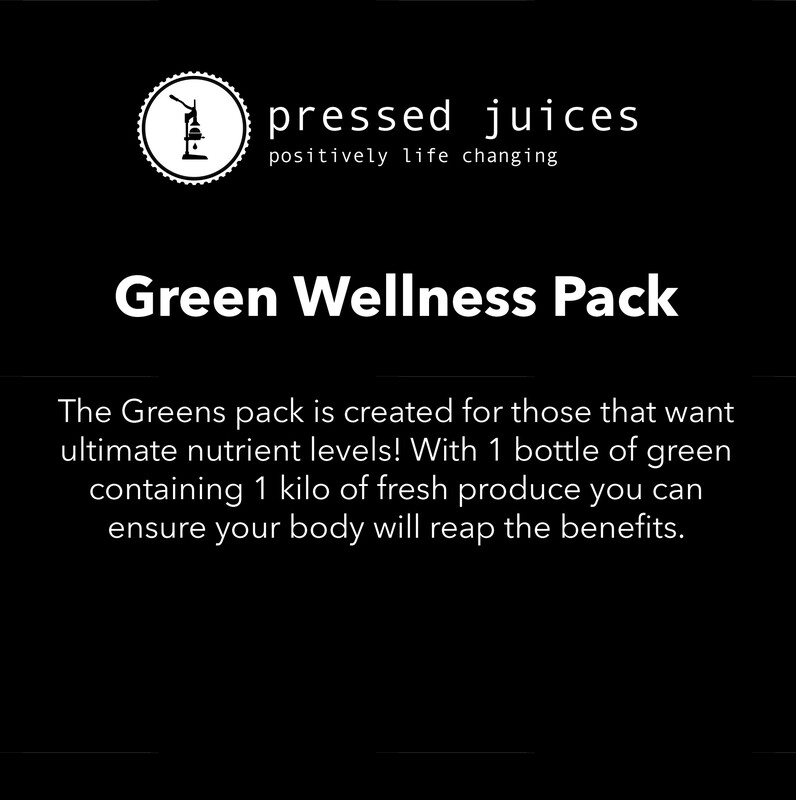 The Greens pack is created for those that want ultimate nutrient levels! With 1 bottle of green containing 1 kilo of fresh produce you can ensure your body will reap the benefits. Leafy green vegetables contain a number of nutrients such as B vitamins, calcium, Vitamin C, Vitamin K to name a few and they are known to help fight disease through the power of phytochemicals. They may help to assist with muscle function as wells as blood pressure management. Leafy greens are also filled with water allowing your body to stay hydrated as well as supporting healthy skin and hair. It is suggested we consume 5 serves of leafy greens per day to meet nutrition standards; this is around 5 cups per day to which not everyone may consume. Our Greens pack contains 4 green juices enabling this standard to be met. Our juices contain no preservatives, additives, and artificial colors and are free from pasteurization ensuring fresh produce and live enzymes to strengthen your body from the inside out.